The adjustable size and rebellious-chic look from TEGO. 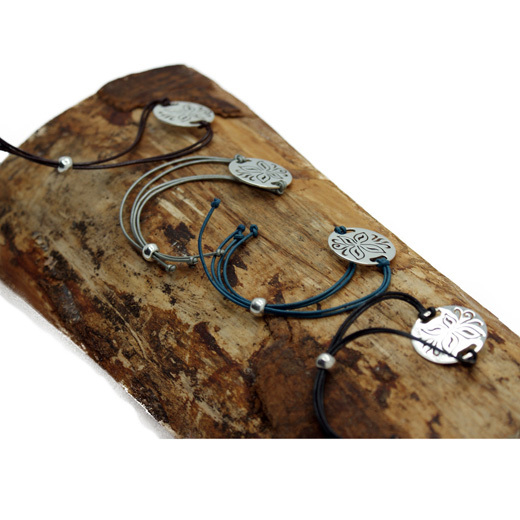 Available in black, brown, teal or silver grey leather this friendship bracelet features a circular disc engraved with a stylised butterfly made from Mexican 925 sterling silver. 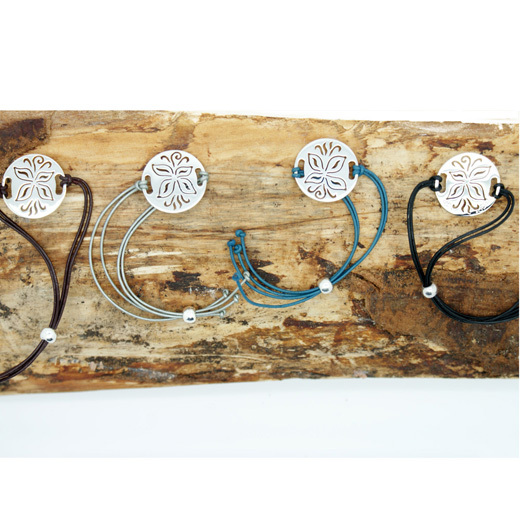 A twist on the cool design of a friendship bracelet, it has an adjustable toggle and can be worn alone or as a layered look for stand out style. The brand TEGO was founded by Mexican Jewellery designer Teresa Gonzalez, who creates fashion-forward jewellery using innovative techniques. 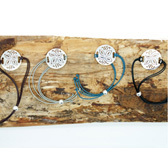 She is truly a versatile designer who designs and hand crafts her jewellery in Taxco, Mexico. A high quality, Mexican leather and sterling silver friendship bracelet and great value. Like all of our products, it is brand new and in stock in the UK, ready for our super fast shipping. Not exactly what you are looking for? We have a wide range, see the sterling silver bracelet gallery for our other options. 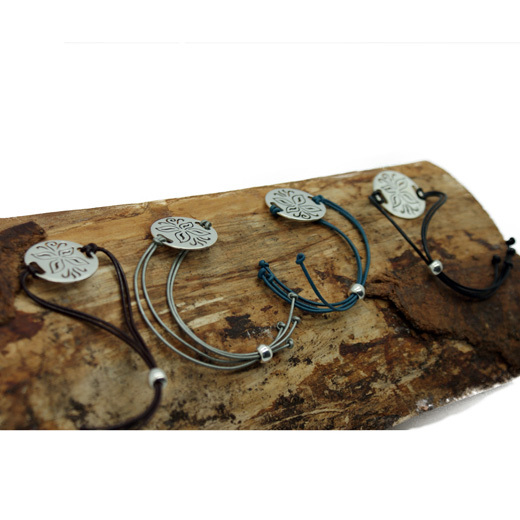 Please note: You are buying one sterling silver and leather friendship bracelet in the colour selected.